With its bright orange logo, it’s pretty hard to miss this retailer. Lumo Energy is owned by Snowy Hydro, along with Red Energy. Together they have more than a million electricity customers across the south and east coast of Australia. In this review, Canstar Blue takes a close look at Lumo Energy. We walk you through the energy plans, rewards and incentives Lumo Energy currently offers, and provide a guide as to how much you can expect to pay. Does it stack up well on price and features? Let’s find out. Lumo Energy has four core electricity plans on offer in Victoria and South Australia, though some of these products come in more than one form depending on the conditions you want to sign up to. Confused? Don’t worry, we’ll explain the best we can. Its range of deals includes offers with conditional discounts, as well as a plan with no discount at all, and an offer pitched specifically at people who rent their home. Customers who sign up to selected Lumo plans will also receive access to Lumo Ameego – Lumo’s exclusive customer shopping program which brings rewards at various entertainment and retail outlets. All Lumo Energy market offers come with variables rates, which means they could be changed at any time. Read on for all the details, including latest prices. Here are the current prices on our database for a typical three person household on the Citipower network in Melbourne. Use our comparison tool for a specific quote in your area. These are sponsored products. Here are the current prices on our database for a typical three person household on the SA Power network in Adelaide. Use our comparison tool for a specific quote in your area. These are sponsored products. The Lumo Value plan now appears to be the retailer’s flagship offer in Victoria and South Australia. It comes with a modest 3% discount off electricity usage and supply charges for customers who pay their bills on time, while those who are also willing to sign up for direct debit payments will see the discount increased to 5%. These discounts are consistent across VIC and SA, though pricing will naturally vary depending on your location and circumstances. The plan also comes with no contract term and no exit fees. Lumo Value customers will also get access to the Lumo Ameegs shopping program and may be eligible for $50 online sign-up credit. Lumo Energy is one of few electricity retailers to offer a specific power plan for renters. What makes it unique for people who rent their home you ask? Well, quite simply, there are no connection or disconnection fees when you move! Though, be aware, there may be some restrictions on this as terms and conditions apply. Other than the lack of moving fees, the plan is very similar to the Lumo Value in that it comes with a discount of 3% off electricity usage and supply charges for paying on time, plus an additional 2% (for a total of 5%) if you agree to direct debit payments. Lumo Movers also brings access to the Lumo Ameegs shopping program and customers may receive $50 credit when they sign up online. This is Lumo Energy’s plan marketed at movie-lovers. While it comes with the same pricing as the Lumo Value deal mentioned above, it has the added bonus of two-for-one HOYTS movie tickets from Monday to Wednesday. Also like the Value plan, it comes with a discount of either 3% or 5% depending on whether or not you’re happy to pay by direct debit. What’s more, it also provides access to the Lumo Ameego rewards program. Rates are variable but there are no exit fees. While Lumo Energy was previously known for big discounts, the retailer has for a while now also promoted its ‘Basic’ electricity offer. With no contract term or exit fees, Lumo promises simply low rates with this plan. “Low rates U can count on” Lumo says on its website. Lumo Options is Lumo Energy’s ‘standing offer’. These are electricity deals that are regulated by the state government. They are entirely flexible with no exit fees or contract terms, however, there is no discount and the rates are higher. As such, standing offers are generally quite expensive and are not recommended for most customers. The above plans are what’s currently on offer from Lumo Energy. However, if you’re an existing customer and don’t recognise the names of the deals mentioned above, it could be because you signed up to one of Lumo’s now retired products. If this is the case, it might be worth getting in touch with Lumo to discuss your options. Lumo Energy called this plan the ‘popular kid’ of its electricity deals. Lumo Advantage customers who paid their bills on time received a discount off both usage and supply charges (i.e. your total bill). Victorians received a 27% discount off their bills, while South Australians received 15% off. This deal was also offered to Victoria and South Australia and was identical to Lumo Advantage in many respects. The only real difference was that customers on Lumo Advantage Premium could earn an additional discount off usage and supply charges by organising to pay via direct debit and receiving correspondence by email. Discounts reached 30% in Victoria and 17% in SA. The eDeal was only available to Victorian customers. It had no contract term and a tidy 33% discount off usage and supply charges. In order to receive this, customers must have signed up online and opted into direct debit, e-Billing and an e-welcome pack. Customers on this plan also received access to the Lumo Ameego program. Lumo Energy is fairly price competitive, with the added bonus of Lumo Ameego providing additional value benefits, as long as you take advantage of them. What helps Lumo Energy keep its prices competitive is that its discounts apply to your total bill, rather than just the usage component, as is the case with many energy providers. In order to give customers an idea of how much being a Lumo customer might cost, we’ve calculated the expected annual cost of electricity for average three person households signed up to each Lumo Energy product at selected postcodes across each state. For a specific quote in your area, use our energy comparison tool above. Costs based on annual usage calculations using statistics from AER for a three person household on the Citipower network, January 2019. See how Lumo compares to other retailers in our Victoria price comparison report. Keep in mind, however, that rates vary across different distribution networks. *Costs based on annual usage calculations using statistics from AER for a three person household on the SA Power network, January 2019. These costs apply to households right across Adelaide and the rest of South Australia. Lumo Energy is usually one of the cheapest options in SA, though given the incredibly high price of power in the state, this isn’t really saying much! If you want to make the best of the situation, see how Lumo Energy compares to other electricity providers with our SA cost comparison report. If you’re interested to see how other retailers compare outside Victoria and South Australia, check out our other reports below. This deal comes with similar terms as the equivalent Lumo Value electricity plan. Customers who sign up for direct debit billing and pay on time will earn 5% off their gas usage and supply charges, while those who prefer not to pay via direct debit will get just the 3% off. There is no contract term or exit fees, and customers get access to the Lumo Ameego shopping program. 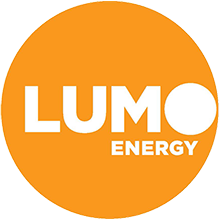 Like the Lumo Value plan, Lumo Movers Gas closely mirrors its electricity equivalent as customers get 3% off usage and supply charges for paying on time, plus an additional 2% if they also sign up for direct debit payments. There is no contract term or exit fees, and customers get access to the Lumo Ameego shopping program. If you want a little extra value from your gas plan, Lumo Flix may be for you. It comes with two-for-one HOYTS movie tickets from Monday to Wednesday. This is in addition to the same conditional discounts as the Value and Movers plans. This is Lumo Energy’s basic gas deal, with no conditional discounts, just “low rates”. It does not provide access to Lumo Ameego. Lumo Energy’s MyAccount even lets you export your energy usage data. Victorians can then upload this data to the My Power Planner tool on the Victorian Government’s Switch On website. Customers can manage how they are billed through MyAccount. It can also be used to apply for hardship and financial difficulty concessions. Is Lumo Energy right for me? Lumo Energy is a serious challenger in the market and seems a perfectly viable choice of electricity retailer. Its rates and discounts are generally competitive, often making it one of the cheapest companies out there. In addition, Lumo Energy has a great rewards program, its plans don’t lock you in with exit fees, the discounts remain ongoing, and its MyAccount app takes out all the complication of managing your account. But with variable rates, its prices could be changes at any time. Perhaps Lumo Energy’s most obvious short-coming is that its solar deals are not as strong as some competitors. Lumo’s feed-in tariff rates are fairly average and it doesn’t offer installation for customers interested in getting on board with solar power. All in all, it’s a good idea to keep your options open and compare offers from a wide range of retailers. How do customers rate Lumo Energy? In 2019, South Australian electricity customers gave Lumo Energy 5 out of 5 stars for overall satisfaction in our customer ratings report.